The pope asked my husband, "How old is she? What's her name?" He told (the pope) she has two holes in her heart. When we got home in May, we went back to the cardiologist for a check-up. One of the holes was completely closed and one was half the size. This miracle could make Pope Francis eligible for sainthood, which would put the current pontiff in the same medical miracle footsteps of Pope John Paul II. It was a vision of the former pope that healed Floribeth Mora Diaz in 2011, whose inoperable brain aneurysm had left her bed-ridden and near death. Pope Francis declared the event a miracle in July 2013, after Mora's claim underwent intense scrutiny by the Vatican. Many other popes have reportedly performed medical miracles as well, dating as far back as Pope Agapetus I, who healed a paralyzed man in the 6th century. The events are wholly unique and altogether incredibly rare. Still, that doesn't prevent Catholics across the world from seeking out the pope in an effort to have their prayers answered. 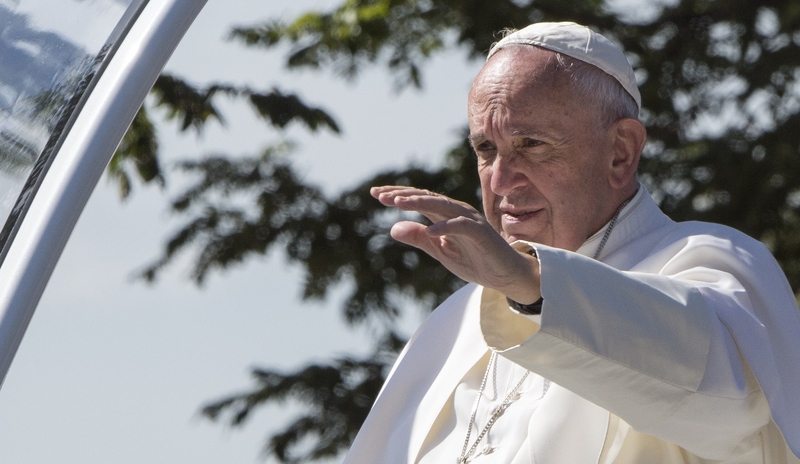 An Ohio family has bought two tickets to see Pope Francis during his trip to the United States. FOX8 Cleveland reports the family's twin daughters have a rare genetic disorder known as congenital variant Rett syndrome. They're hoping Pope Francis will be able to help heal the girls, whose condition has impaired their motor skills as well as their overall development. Thank you for spreading the word that all life is precious. Even life that seems like it might have struggles like hers. She is as precious as anyone else. We just thank you for spreading that message, because people need to hear that.